Our eyes ping-pong back and forth from facebook posts to open chat boxes, unclicked emails to GIFs of dancing cats, scanning for keywords but barely digesting what we see. Average time spent on an online article is 15 seconds. In 2014, the Pew Research Center revealed that one-quarter of American adults hadn’t read a single book in the previous year. And that’s a shame because those who read consistently exhibit significantly greater memory and mental abilities at all stages in life. They’re also better public speakers, thinkers and, according to some studies, better people in general. Here are some of the health benefits you might enjoy if you read a book right before you catch some zzz. Avid readers tend to perform better on tests of cognitive functioning than those who don’t regularly read. 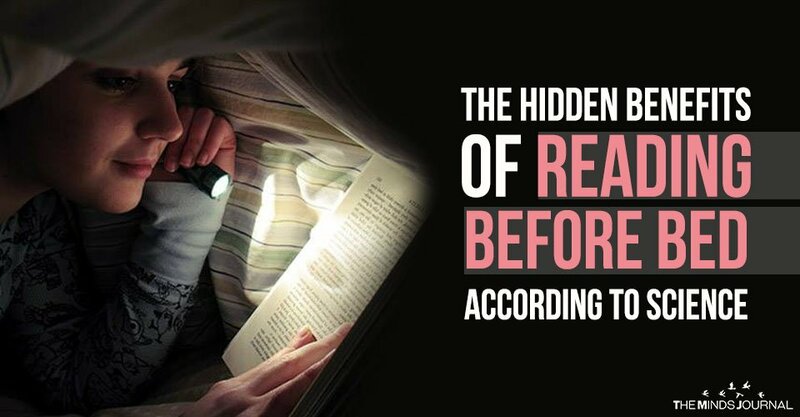 In fact, research published out of Northern Illinois University found that readers test higher in vocabulary and generalized knowledge than non-readers, so a quick read at bedtime can actually make you smarter. Feeling depressed or anxious? You’re not alone. Anxiety and depression are the most commonly reported mental health concerns in the United States. While a book is never a fail-safe treatment for a mental health issue, general practitioners in Britain have begun prescribing book reading to patients who suffer from mild to moderate depression and anxiety, and many of these patients report an alleviation of their symptoms as a result. Although Alzheimer’s is not a preventable disease, certain habits can help protect the brain’s functioning, and are associated with a lower risk of Alzheimer’s. Any activity that stimulates the brain is protective against Alzheimer’s, so the National Institute on Aging suggests that adults read regularly to keep mental functioning strong.